Home / pregnancy / women health / STUDY: When babies kick in the womb, it is helpful for their growth and development! STUDY: When babies kick in the womb, it is helpful for their growth and development! Feeling your baby’s kicks in the womb for the first time is an exciting milestone! One of the most wonderful feelings for a mum-to-be is that priceless moment when they feel their growing baby moving around for the first time. But it will be made even more special once you know that these kicks also help your baby grow. These kicks not only give them a way to stretch or say “hello” to the outside world, it helps to sculpt and strengthen their bones, muscles, and joints, according to a new study. Your baby's kicks in the womb are good for their bones! ⏩At 20 to 30 weeks, kicks get stronger. According to MRI scans of fetal kicks, they noted that these movements strengthened at 20 to 30 weeks. ⏩Stress on a baby's joints depends on how strong they kick. They also managed to measure the strength of the kicks as well as how much stress or strain they put on an unborn baby’s bones and joints. ⏩Kicks lessen at around 35 weeks in utero. Researchers found that kicks decreased by 35 weeks of pregnancy. Why? Because there isn’t enough room to wiggle or kick around in the womb. ⏩But pressure continues to increase and so does growth. However, pressure on the baby’s leg bones and joints continue to increase. This helps the fetus grow! ⏩Movement helps babies grow in utero. This study emphasizes the importance of how the right movements influence fetal growth. This is likely why preemies sometimes have bone or joint disorders. ⏩How a baby moves before birth can affect health when they grow up. More research is needed to get a clearer picture of the relation between fetal movements and bone health later in life, such as osteoarthritis. Can you stimulate your baby's kicks in the womb? Yes, mums-to-be can encourage their baby to wiggle around or even kick in the womb! You can lie down on your left side. Concentrate on feeling your baby’s movements for about two hours. You should feel your baby move AT LEAST 10 times. If not, consult your doctor immediately. Drink a glass of orange juice or milk to wake your baby up. The same goes for snacks. This stimulates your baby's metabolism and increases your baby’s wiggles and active movements. In the same way that you can lull a baby to sleep with music, you can also rouse them and get them moving through your choice of sounds. The song doesn’t have to be too upbeat or loud, just enough to stimulate their sense of hearing and, perhaps, their love for dancing. Relax, mums! Like we said, fetal movements differ with each mum (and each pregnancy!). So don’t pressure yourself to feel it exactly the same way as other mums. But don't hesitate to tell your doctor about any worries you may have. Should you worry if your baby's kicks in the womb are rare? Once babies hit the 15-week mark in utero, they start to move their bodies as well as their limbs. Most mummies don’t really feel these movements at this stage. But around 16 to 25 weeks along, they can start to feel the wonderful flutters of their growing baby in their belly. Feeling your baby’s kicks in the womb can offer reassurance that your little one is active and healthy. So naturally, when your baby doesn’t move around as much, it can cause anxiety. The good news is, the number of fetal movements varies with each mum. They also differ in sensation — kicks, flutters, or rolls — throughout a woman’s pregnancy. You should consult your doctor when fetal movements have significantly reduced. Remember: Babies in utero sleep too, but usually not more than 90 minutes. Fetal movements usually increase after 32 weeks and assume a steady pattern. 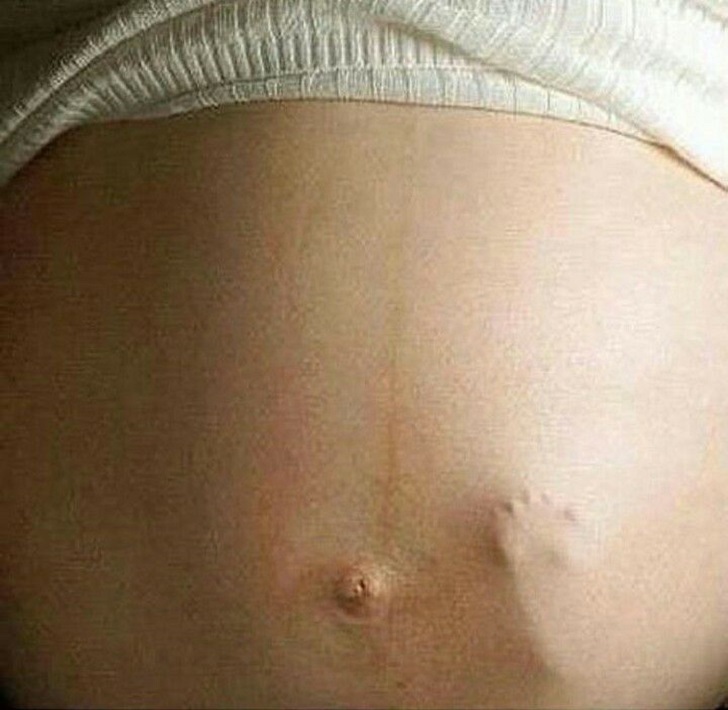 Baby kicks should be felt until a mum goes into labor. If you have any worries, let your doctor know immediately. Pregnancy is an exciting time, but it can also be a time of worry. It's always best to be safe, mummies! Don't hesitate to open up to your doctor even about the simplest of concerns.